TBS is the exclusive headquarters for 2015 MLB Postseason National League coverage and it look to be a sports technology driven playoffs event. Today, Wednesday, Oct. 7, the MLB baseball playoffs begin in the NL on TBS presented by Hankook Tire with the Wild Card game between the Pittsburg Pirates and the Chicago Cubs at 8 p.m. ET. Live streaming of each TBS MLB postseason game can be viewed on the Watch TBS App and online at the www.tbs.com website. 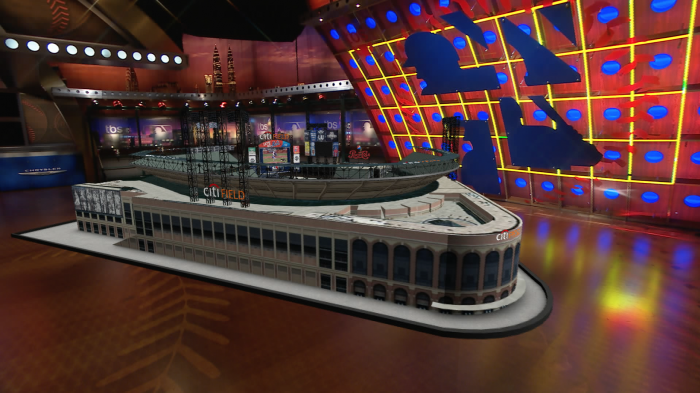 Sports technology is changing the game in so many ways including the postseason with the Turner Sports Virtual Reality Ballpark Models in use for the first time during TBS Studio coverage. More sports tech products are being integrated into the broadcast such as Live Vu, Sony HDC-4300 Cameras, MLBAM Statcast, Pitch Trax, player mics and newly designed broadcast booth complete with technological bells and whistles. The Sports Techie community blog has blogged about Turner Sports sport technologies used during their new eSports league, NBA and NCAA basketball, professional and collegiate baseball, PGA Tour golf and more, our readers and followers can read further about via this link. MLB on TBS Studio crew (L-R): Dusty Baker, Casey Stern, Gary Sheffield and Pedro Martinez. TBS enters its 9th consecutive year of live MLB postseason coverage. Ernie Johnson, a Sports Emmy Award winning commentator is set to handle the play-by-play for the wildcard game together with expert analysts Ron Darling and Cal Ripken, Jr. and reporter Matt Winer. Live streaming coverage of all MLB Postseason games airing on TBS will be available via www.tbs.com and the Watch TBS app for iOS and Android. Fans will be able to access the games whenever and wherever they desire by logging in with the user name and password provided by their TV service provider. In addition to its exclusive live game telecasts on TBS and live simulcast streaming on TBS.com and the Watch TBS app, Turner Sports and MLB Advanced Media will once again partner to provide fans with second screen, digital companion coverage via Postseason.TV. Postseason.TV delivers baseball fans up to 10 live alternative camera angles and is available for every game televised by TBS during the MLB Postseason including the NL Wild Card game, NL Division Series and NL Championship Series. Subscribers can customize their viewing fan experience by picking up to four different cameras simultaneously during live game action. Baseball fans can also exclusively watch live coverage of their team’s batting practice before each postseason game. Postseason.TV is accessible via desktop and mobile through MLB.com’s At Bat 15 app for supported iOS and Android smartphones and tablets. MLB On TBS Postseason NL Wild Card, NLDS And NLCS Sports Tech – SportsTechie blog. Live Vu – debuting during the NL Wild Card Game, the camera can send footage wirelessly from anywhere with an available wireless signal. Live Vu will allow TBS to capture the sights and sounds from the road team’s city and incorporate that team’s fan base into the game telecast. Newly Designed Broadcast Booth – this year’s broadcast booth at each ballpark will include a 40-inch monitor to allow viewers to see who and what the announcers are breaking down while they appear on camera. The booth’s design elements match TBS’s Postseason graphics package and the booth will be utilized during Inside the Booth presented by Esurance segments. Sony HDC-4300 Cameras – these super slow motion cameras will provide the viewer more angles of gripping super slow motion replays during key moments of the game. These cameras are able to capture 1920 x 1080 high-definition images at a frame rate six times above normal. Each TBS MLB Postseason game telecast will utilize five HDC-4300s (two more than 2014), with a sixth camera added for the NLCS. Statcast powered by Amazon Web Services – a revolutionary tracking technology that measures the elements of on-field performance including, but not limited to, pitch spin rates, batted ball exit velocity and defensive route efficiency. Player Microphones – during each NLCS game telecast, fans will feel part of the action, as they hear the sounds of the action from a player’s perspective, with added access and excitement via additional on-field microphones. Pitch Trax presented by Chevrolet – the on-screen graphic will be used to show pitch location and type, while also illustrating other variables such as a swinging strike vs. being caught looking. It is also be able to display a hitter’s batting history against a specific pitcher. 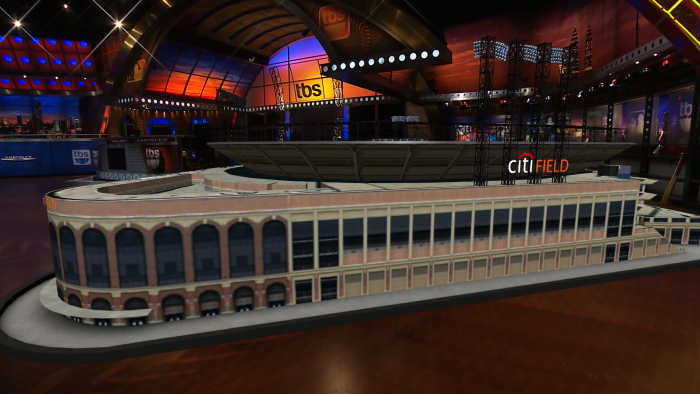 Virtual Reality Ballpark Models – these 3D renderings are scale replicas of each NL Postseason team’s home ballpark. Full 360-degree views from all vantage points are available, and cameras can zoom in to profile specific ballpark nuances while analysts break down strategy, execution and plays unique to each stadium. Offensive and Defensive Information – defensive alignments and shifts, along with hitter spray charts, will be overlaid onto the virtual reality field renderings. This information will help fans visualize a team’s defensive strategy against certain hitters, based on their batted ball data. Virtual Monitors – on-screen graphics will be able to show match-ups, single player or team information and sponsorship elements. These non-intrusive overlays will appear on screen while keeping camera shots focused on the commentators at the studio desk. NLCS On-Site Studio Shows – the MLB Postseason Pre-Game on TBS presented by Chrysler and The Postseason Show on TBS presented by The Lincoln Motor Company will both air live on site during the NLCS. The shows will be located in outfield positions in areas with exposure to fans, to incorporate the ballpark atmosphere into the telecast. Live Streaming for Every TBS MLB Postseason Game Available Via Watch TBS App. The Pirates boost former NL MVP Andrew McCutchen and gritty right-hander Gerrit Cole, the first player drafted in 2011 out of UCLA, that look up to Hall of Fame baseball players that led Pittsburgh to past World Series titles such as Honus Wagner, Roberto Clement and most recently in 1979 when “Pops” Willie Stargell and “We Are Family” energized fans back when I was thirteen. The Cubs have young guns Anthony Rizzo, Kris Bryant and Addison Russell and Cy Young contender Jake Arrieta attempting to deliver the city of Chicago a hard-earned World Series Championship after an astonishing 106 years since their last title making it the longest streak in North American pro sports. Pregame coverage for the N.L. Wild Card starts with the MLB Postseason Pre-Game on TBS presented by Chrysler show at 7:30 p.m. featuring Hall of Famer Pedro Martinez, nine-time All-Star Gary Sheffield and three-time NL Manager of the Year Dusty Baker joining host Casey Stern. The studio team will also offer postgame analysis via The Postseason Show on TBS presented by The Lincoln Motor Company. 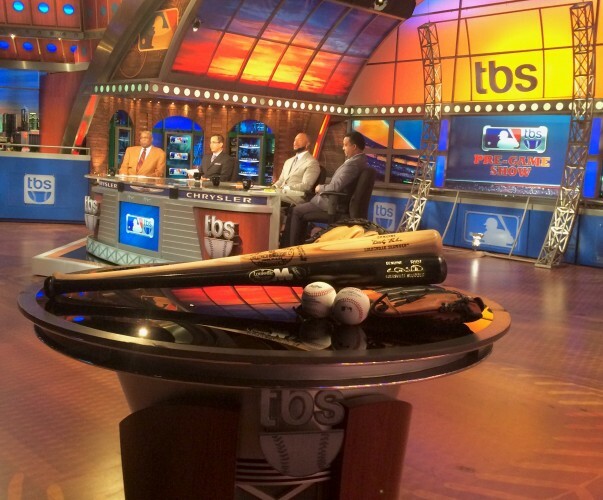 TBS to be Exclusive Home of the National League Throughout 2015 MLB Postseason Beginning with N.L. Wild Card Game Wednesday, Oct. 7, at 8 p.m. ET. The network’s exclusive National League Division Series (NLDS) coverage will begin Friday, Oct. 9 at 6 p.m., with MLB Postseason Pre-Game on TBS presented by Chrysler. At 6:30 p.m., the St. Louis Cardinals, owners of the best record in baseball, host the winner of the N.L. Wild Card Game, followed by aces Clayton Kershaw, Zack Greinke and the Los Angeles Dodgers opening their series against Yoenis Cespedes, young hurlers Jacob deGrom, Matt Harvey, Noah Syndergaard and the New York Mets at 9:30 p.m. Johnson will provide play-by-play for the Mets vs. Dodgers series with Darling, Ripken and reporter Sam Ryan. Brian Anderson will call the best-of-five Pirates/Cubs vs. Cardinals series with analysts Dennis Eckersley and Joe Simpson and Winer. 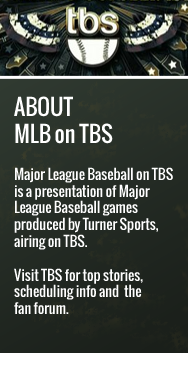 TBS’s NLDS coverage is presented by T-Mobile. TBS will also exclusively televise the National League Championship Series (NLCS), scheduled to begin Saturday, Oct. 17, with Game 1 of the best-of-seven series. NLCS coverage on TBS is presented by Exxon and Mobil. At 1 pm EST today, a 2015 MLB Postseason Media Conference Call with Webcast conducted with MLB on TBS studio analysts. Turner Sports will host the live event featuring MLB on TBS studio analysts Pedro Martinez, Gary Sheffield and Dusty Baker joining host Casey Stern on a unique live stream via Bleacher Report here, bit.ly/MLBonTBS. Sports Techie, another way to stream the postseason is to get MLB.TV Premium for $9.99 and watch select 2015 Postseason games LIVE. Also, follow along with the MLB At Bat App. Bravo to Turner Sports and MLBAM for the innovative MLB on TBS postseason sports tech this year.